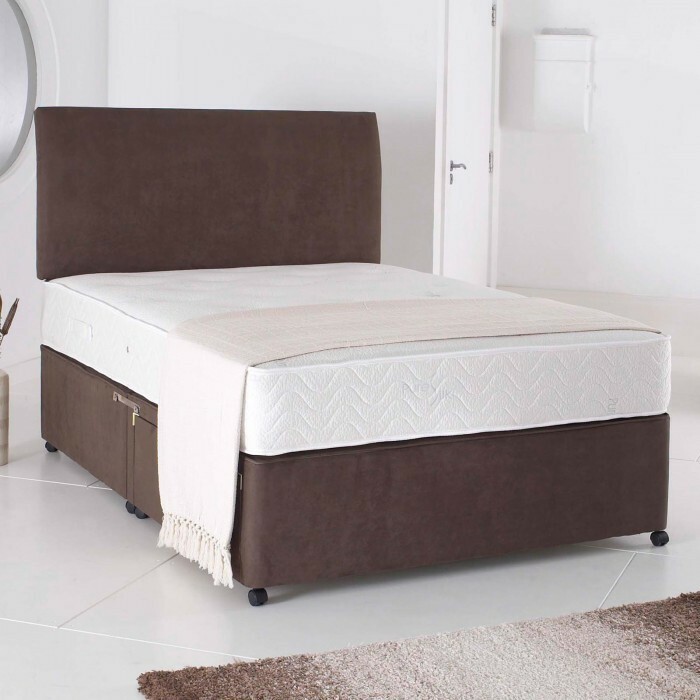 A 3ft Single Divan Bed Base finished in Chocolate Brown Colour Suede Fabric. This Divan comes in one piece. and comes with castors and attachments for headboard. You can have storage drawers anywhere on the bed base. Drawers will be wooden drawers upholsterer in same fabric as rest of bed. The mattress and headboard are not included in the price but can be purchased separately.